This book provides a nice history of Western-style capitalism up to the current crash: bubbles, suburban development, technology. 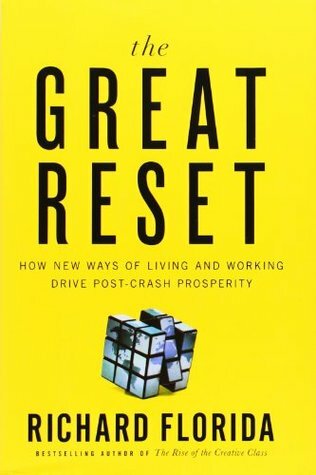 He compares this economic crisis to other societal resets like the Industrial Revolution and the Great Depression. Then he provides some insights about where we go from here. Florida is mostly focused on socio-economic issues and is particularly blind to environmental issues. For example, he dismisses Peak Oil not because it’s not an issue but because he thinks time wasted commuting is a bigger issue. Huh? All other resource constraints seem to be off his radar. That said, there are some important insights. He talks about megaregions as being economic powerhouses: Char-Lanta (Charlotte, Atlanta, Raleigh-Durham), So-Cal, Tor-Mon-tawa (Toronto, Montreal, Ottowa), So-Flo (Orlando, Tampa) Dal-Austin (Dallas and Austin), Hou-Orleans (Houston and New Orleans, Cascadia (Seattle, Portland, Vancouver BC), Pho-Tuc (Phoenix, Tucson) Den-Bo (Denver, Boulder). Some of his insights are a blast from the past. Given that so many jobs are service jobs, Florida advocates for employee involvement strategies like Quality Circles (um, that was popular in the 1970’s-80’s but I’m all for resurrecting high-performance strategies); or more radical involvement like Whole Foods where the employees vote whether new probationary employees should be hired or Zappos where they offer new employees $1000 to quit as a test to see if they really fit the culture. The book had some interesting statistics (eg China will have more high-speed rail by 2020 than the rest of the world combined). But in the end, I was not wowed by the book: Good information for anyone who’s not already paying attention, but not much in terms of new insights. The title was better than the content.